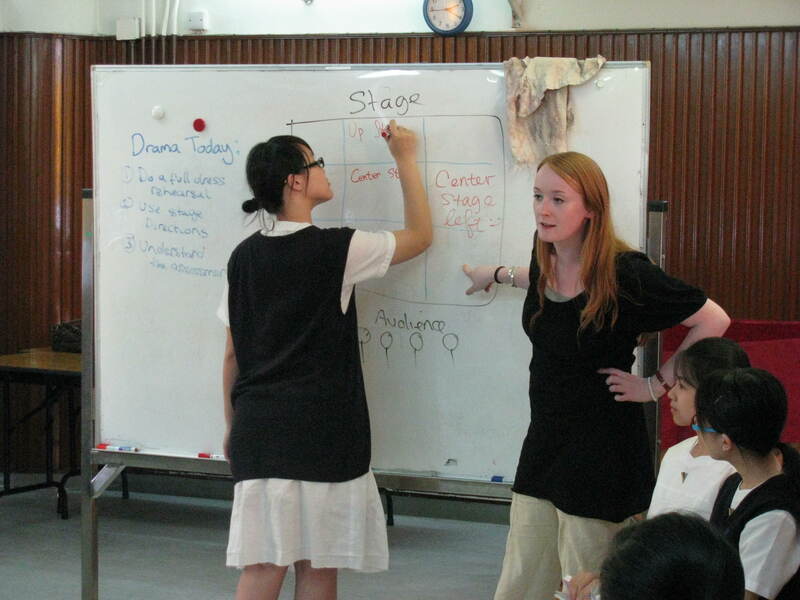 On the day I observed her class, Stephanie's objectives included teaching stage directions and how to assess dramatic performances. 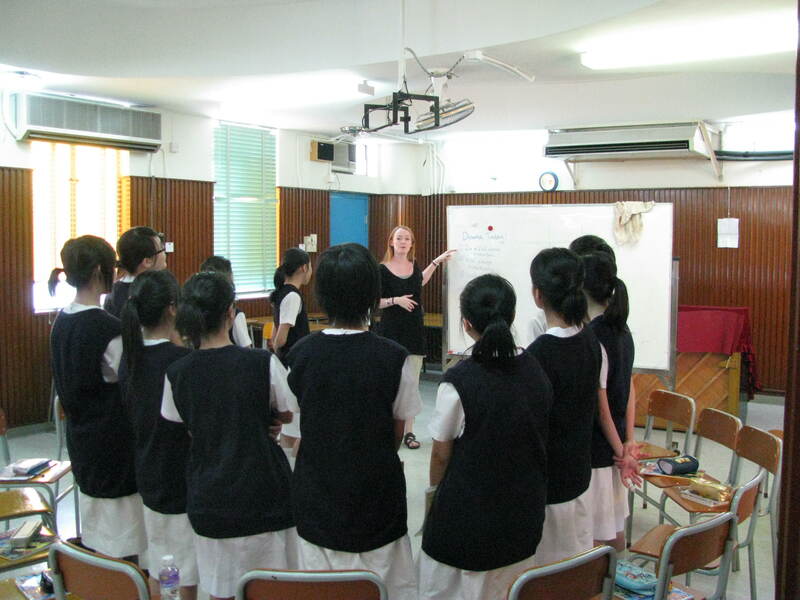 The class was made up of middle school girls. 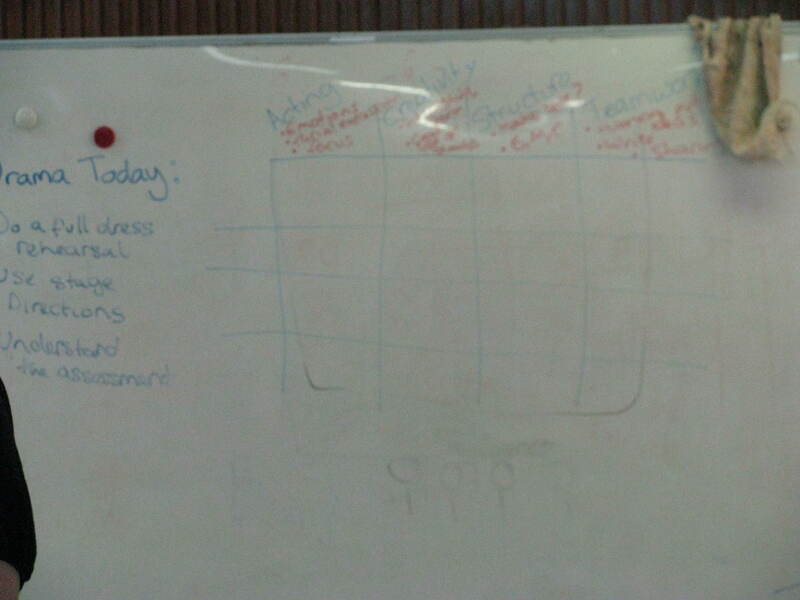 Stephanie began the class by showing the girls what they would learn and what her objectives were for today's class. 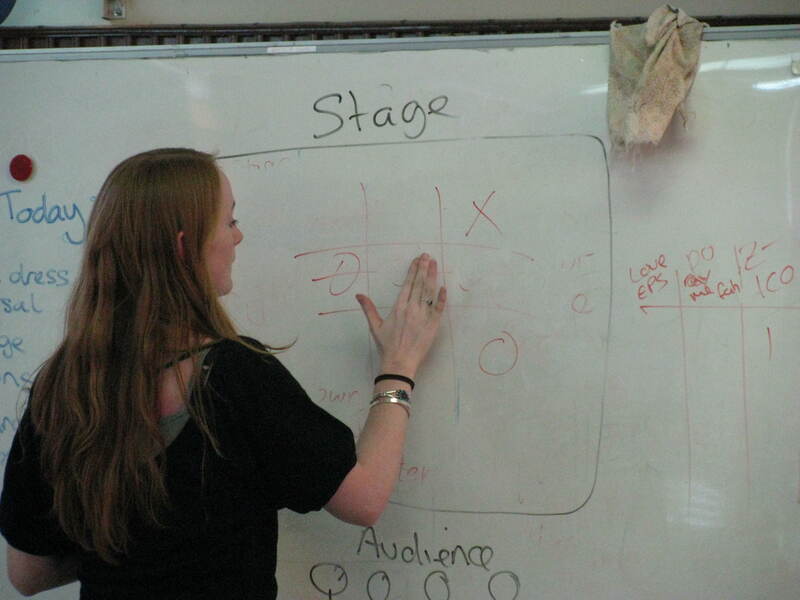 Stehanie then explains the terms of stage directions and the movement necessary to get to different parts of the stage using terms such as down right DR, center C, go to down left XDL and so forth.